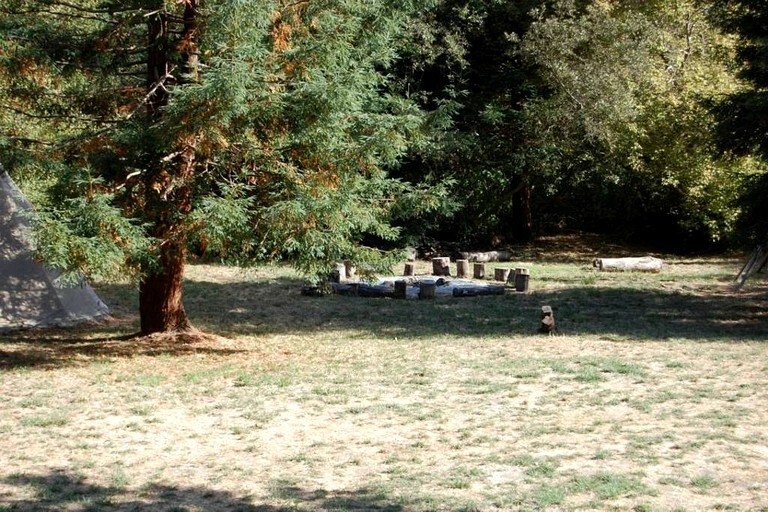 This amazing yurt rental is the perfect spot for guests to enjoy a yoga or meditation retreat surrounded by stunning nature near San Francisco in California. 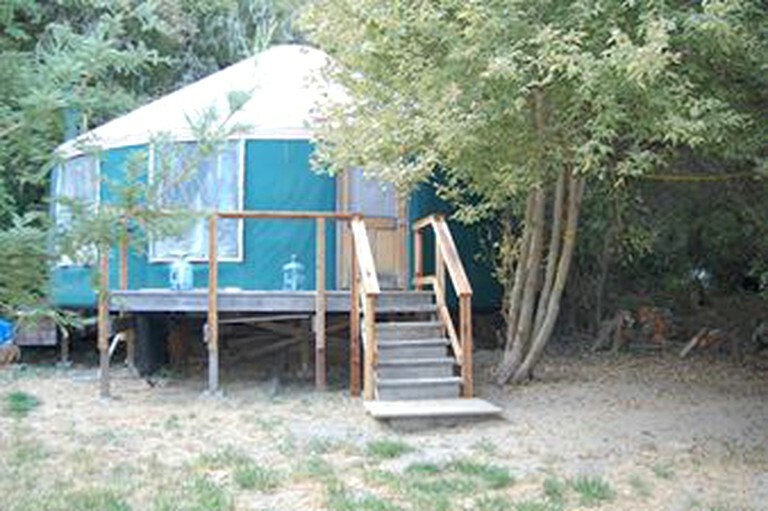 The yurt can accommodate a total of guests with cots that can be arranged in the yurt. 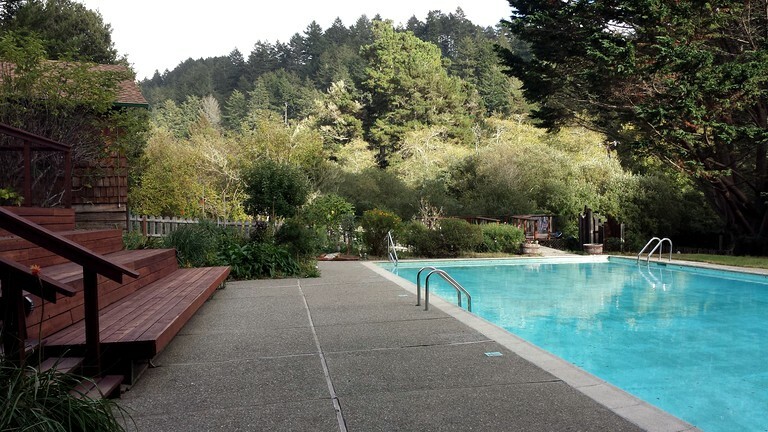 Guests will have access to shared bathroom facilities, where they'll find a compost toilet and shower facilities. In the shared living room of the main lodge, guests will find three sofas, several footstools, a fireplace, a piano, and a range of books. The fully-equipped kitchen comes with a commercial gas range with a griddle, an eight-burner stove, two ovens, three refrigerators, two sinks, cooking utensils, and china and flatware for 50 people. 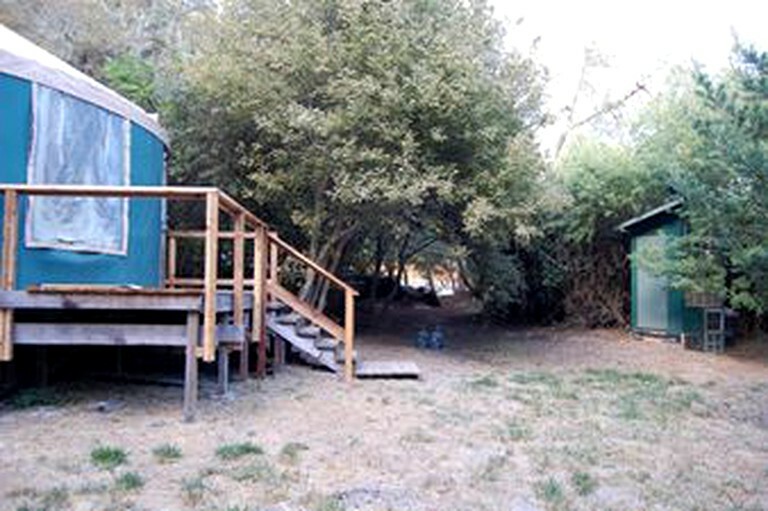 Other amenities include Wi-Fi, a dining room, and a washer and dryer.